If you look at a relief map of Alaska, it is clear that Alaska is a land of mountains. Thirty different mountain ranges spread across the state. 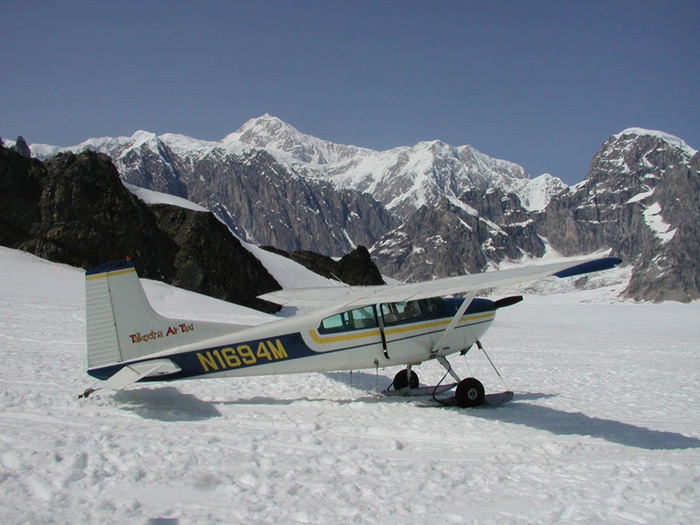 You'll find 17 of the 20 highest mountain peaks in the United States in Alaska. When you fly over the state, much of what you'll see from your plane window is a sea of snow-covered peaks. These mountains control more than the weather -- even the roads curve around, over and sometimes through them. The Alaska Range forms the border between Alaska's Southcentral and Interior regions. 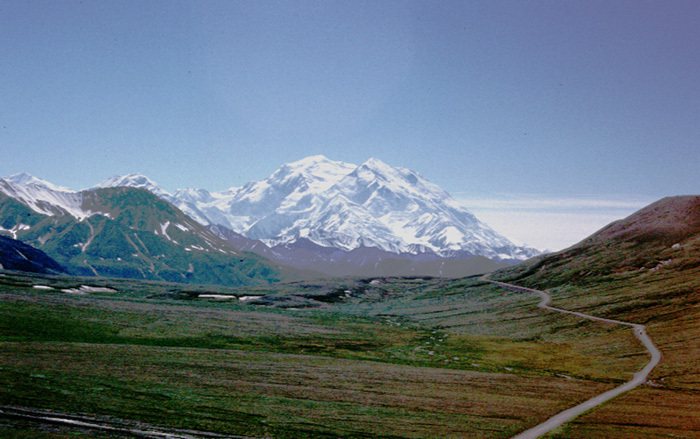 The king of the Alaska Range is Mount McKinley. Also known as Denali, it is tallest mountain in all of North America. It climbs 20,320 feet above sea level. It rises 17,000 feet above the land around it, or its base. Mount Everest, the tallest mountain in the world, is a whopping 29,035 feet above sea level. But it rises only about 15,000 feet from its base in the Himalayas. From that point of view, you could say that Denali is taller than the world's tallest mountain. 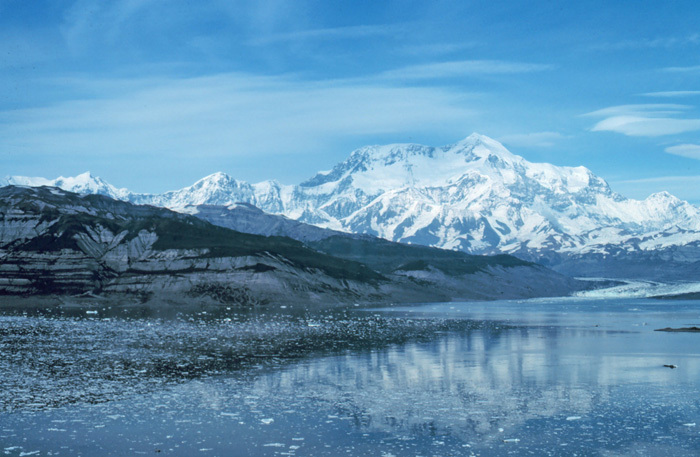 The Coast Range and the Wrangell-St. Elias Mountains mark the border between Southeast Alaska and Canada. More than half of all the tallest mountains in the state are found in this range. These include the second tallest, St. Elias, at 18,008 feet. Southeast Alaskans can blame these giant mountains for their wet weather and their big trees. The warm, moist air from the Pacific Ocean hits these mountains and then climbs up. The moist air cools, the clouds build, and finally the moisture falls as rain. This rain creates the perfect climate for trees to grow. The Brooks Range spans 720 miles from east to west. It forms a natural border between Alaska's arctic and interior regions. This range is part of the Rocky Mountains. Geologists trace its beginnings back to the time before the dinosaurs. They believe the budding mountains once formed the shore of the Arctic Ocean. The Aleutian Range stretches 600 miles along the Alaska Peninsula through the Aleutian Islands. The tall peaks in this range are all volcanoes and part of the Ring of Fire. The ring is an arc of the earth's crust that is very unstable. Many of the Aleutian Range volcanoes continue to erupt and grow. The most recent eruption was that of Mount Redoubt in 2009. 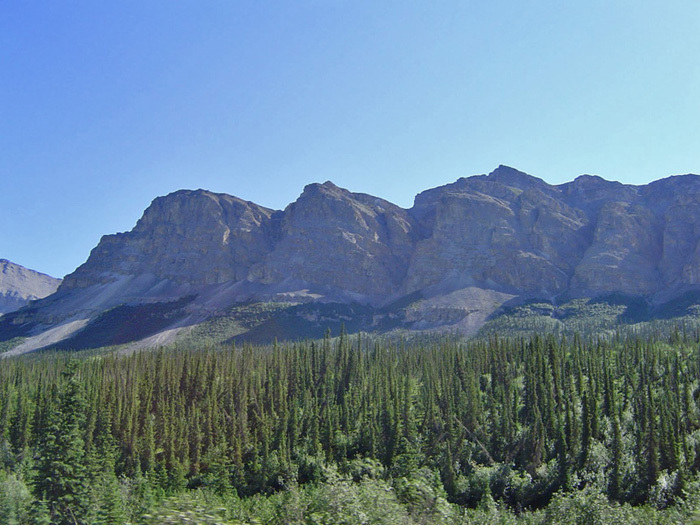 Panoramic view of the Wrangell-St. Elias Mountain Range.